We accept real wedding, engagement and styled shoot submissions from photographers, industry suppliers and newlyweds that will excite and inspire our readers. It’s our aim to feature a varied collection of weddings and shoots. 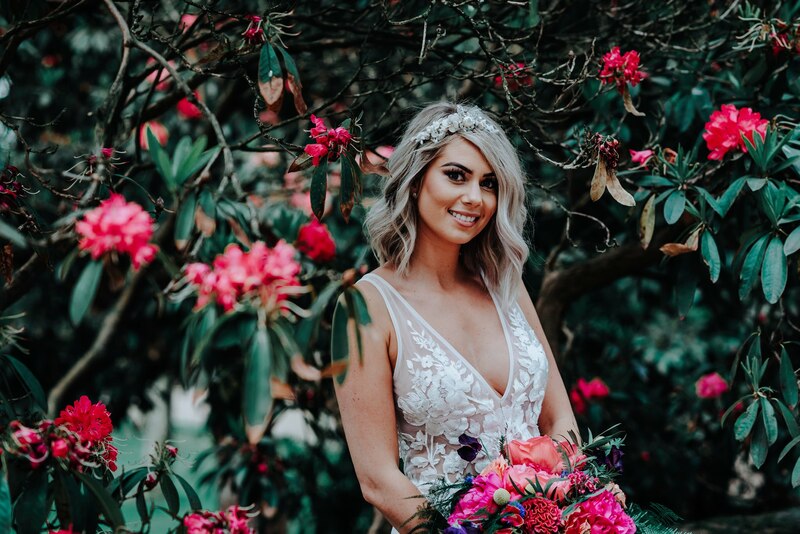 Submissions should be a good fit for Brides Up North’s individual style and so we particularly favour those that are elegant, glamorous and pretty as well as fresh, fashion-forward and innovative – it’s always nice to see couples and creatives thinking a little outside the bridal box! In order to give Brides Up North the exclusivity on any submission, we ask that the wedding/shoot hasn’t been submitted to/published on any other wedding blogs beforehand (excluding photographer/supplier websites) and, where accepted, that it is not submitted elsewhere until 28 days after appearing on our blog. We carefully review all submissions and endeavour to reply within seven working days. Unfortunately, due to the high level of submissions that we receive it is with regret that we are unable to accept every wedding and shoot that we are sent. Whilst every wedding is beautiful, we recognise that our readers require a variety of quality editorial content. Where successful we will reply with further details of the information and images that we require to complete the submission. In the case that the submission is unsuccessful, please don’t be disheartened, this can be for a number of reasons. We will try to feedback details in our email but during busy periods this may not be possible. Finally, we can not accept submissions that are not accompanied by images/footage from a professional photographer and/or videographer. 15 to 20 web res images – a mix of couple shots and details such as décor, flowers, cake etc. to give us an overview of the day. Brief details of the wedding – the couple’s first names, wedding date, venue/location, any particular theme/special touches/standout feature and why the wedding would be a good fit for Brides Up North. Confirmation that the wedding hasn’t been submitted to/featured on any other wedding blogs. If you are not the photographer, please stipulate the name of the professional photographer who captured the wedding and, if possible, include a link to their website. Brief details of the shoot – the couple’s name, where and when it took place, the reason for the shoot, any details that make it particularly special. Confirmation that the shoot hasn’t been submitted to/featured on any other wedding blogs. If you are not the photographer, please stipulate the name of the professional photographer who captured the shoot and, if possible, include a link to their website. Brief details of the shoot – where and when it took place, any particular theme/reason behind the shoot, a list of suppliers involved. As standard, copyright remains with the original author of the images and so please seek the photographer’s permission when making a submission. Whilst we do accept submissions from photographers and other vendors if you are not the bride or groom you will also need to seek their permission before making a real wedding or engagement shoot submission.